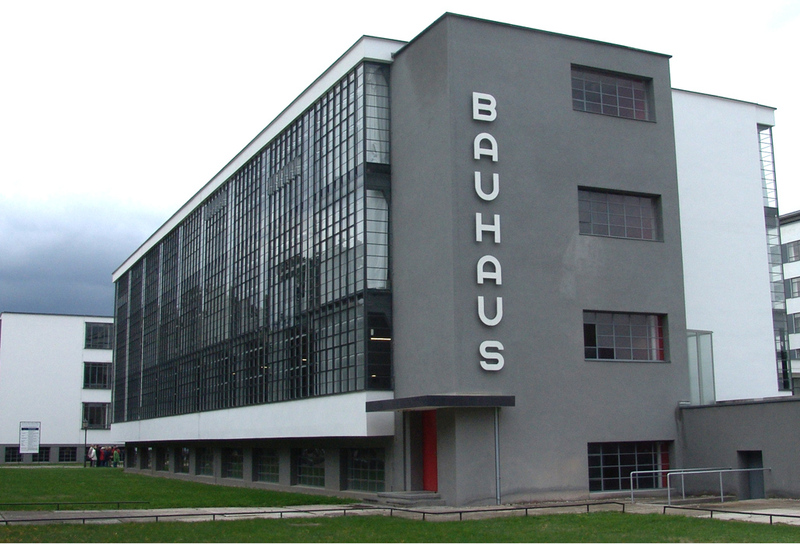 The Bauhaus, a movement within the history of the Age of Modernism (c1880-1940), became a school for creative people. It came into existence in 1919, due to the efforts of German-American architect Walter Gropius (1883-1969). 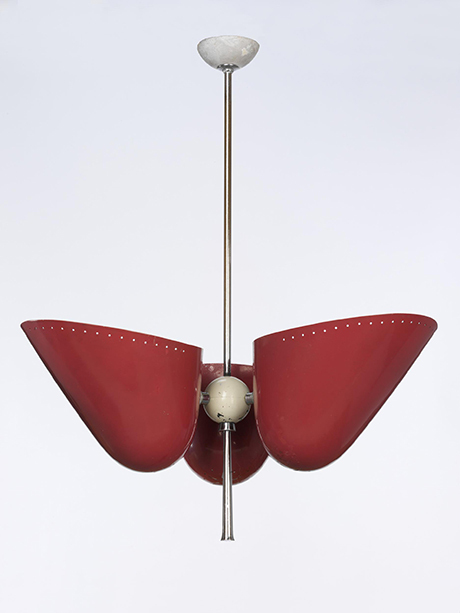 During its brief history (1919-1933) it left an indelible mark on twentieth century design. 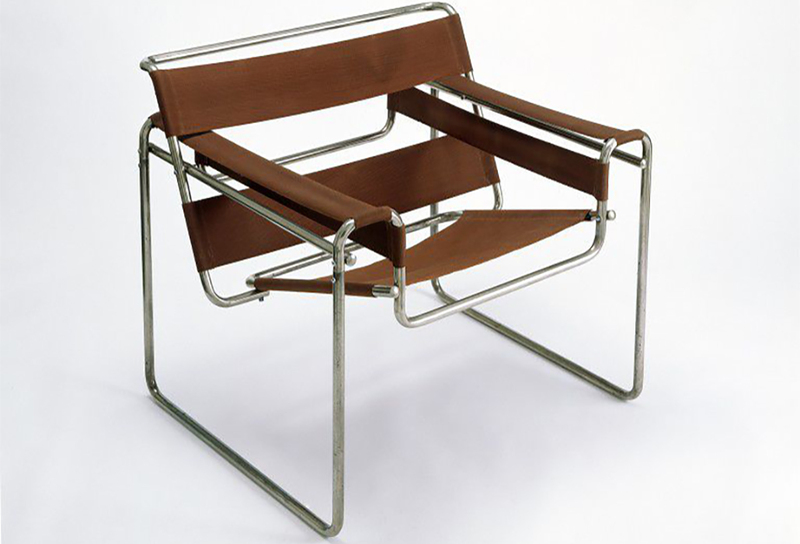 The Bauhaus School was to be all about the creation of physical products for the marketplace. Artists of the Bauhaus set out to establish new and influential standards for industrial design that would endure. Today we would say they achieved their goal, despite the onset of two world wars. The school built in Dessau was bombed during the second world war, and only partially repaired. Awarded UNESCO World Heritage status in 1996, it has now been reinstated as a leading centre for design, research and education. Fully restored and accessible to the public this year the Bauhaus Museum at Dessau is set to open on campus. 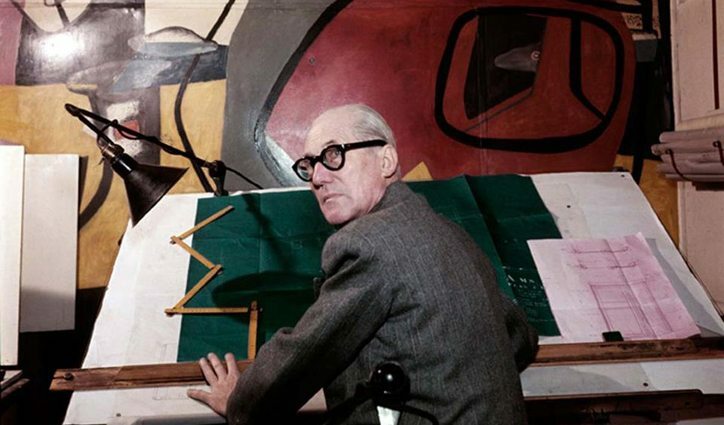 Modernists included French architect Le Corbusier, who was concerned principally with the least complex method of fitting “form to function” using un-elaborated materials. The term “form follows function” was used to describe the importance of the use of an item over its aesthetic beauty. Gropius first conceived the idea of the Bauhaus School at home in Germany in 1914, at the outbreak of World War I. The basis for his aesthetic idea was taken from the use of new materials like glass, metal, concrete, etc., as he wanted to ensure the design or object’s use had to be the most important element, then the beauty of the object would follow. The considered aims of the artists of the Bauhaus School was to rescue all of the arts from the isolation in which each then apparently found itself, and to train future craftsmen, painters and sculptors to embark on collaborative projects. The second was to elevate the status of craft to that traditionally enjoyed by what many people perceived as ‘fine arts’. The school was to work in the fields of architecture, art, and all facets of design. Modernism demanded a distinction between interior architecture and decoration and a preference for open planned living. Modernist interiors in their purity would be devoid of applied decoration, concentrating solely on geometry, uninterrupted lines and form. Curved elements may impinge, especially when made of contrasting materials such as glass, brick, wood panelling and exposed stone or brick…. the effect however exaggerated. 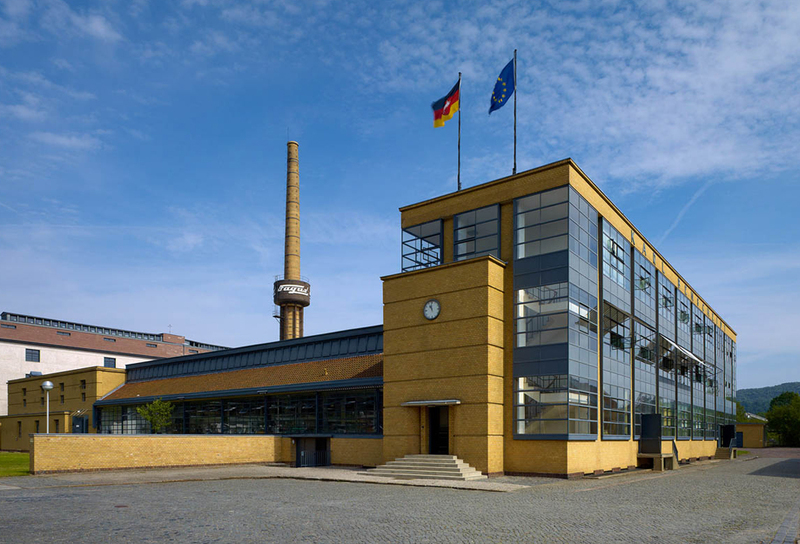 The third aim, once the Bauhaus School; was operational, would be to establish constant contact with leaders of the arts and crafts and industry. 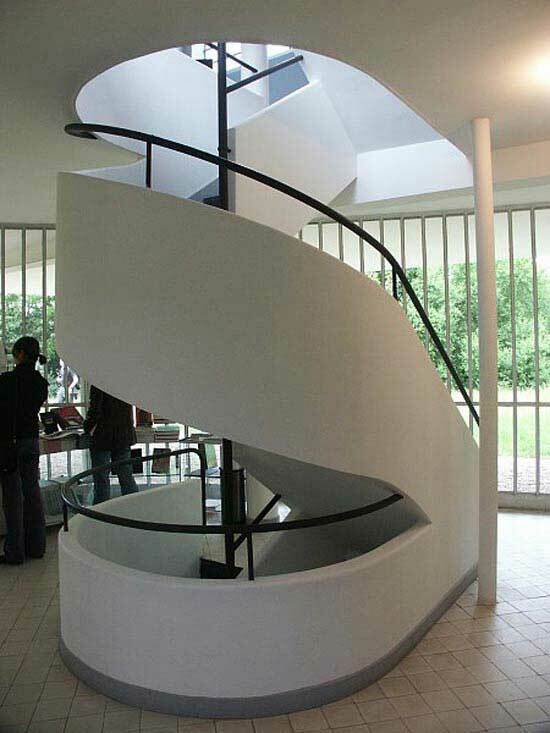 It actively sought to free itself from public subsidy, by selling its products and designs to the public at large and to industry and Walter Gropius encouraged and supported the considerable talents of such artists as Mies van der Rohe and Marcel Breuer, among others. The German pavilion at the 1929 Barcelona Exhibition, by Mies van der Rohe, the finest expression of pre-WWII German modernism. 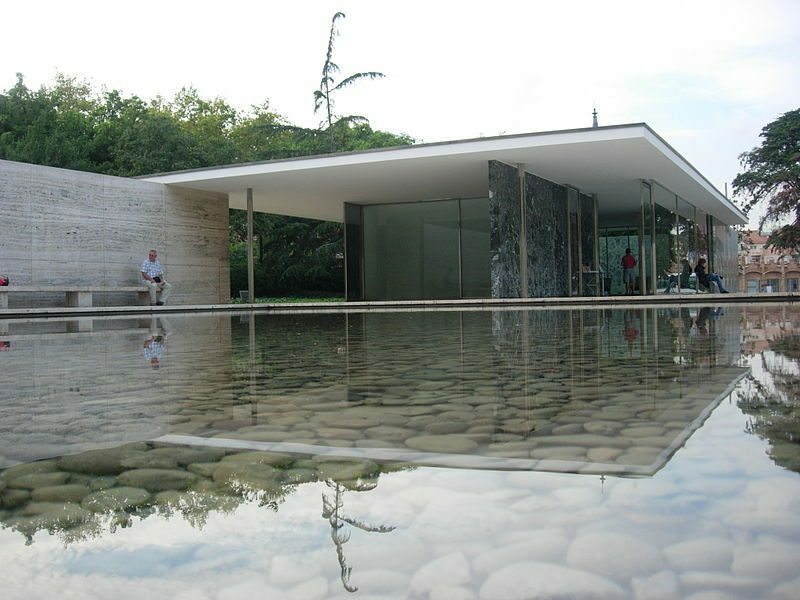 The German pavilion at the 1929 Barcelona Exhibition, by Mies van der Rohe, was the finest expression of pre-WWII German modernism. 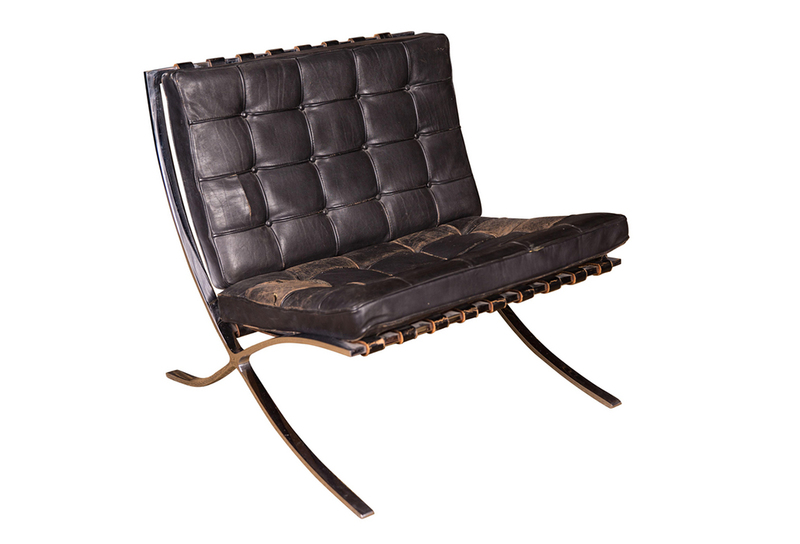 His now renowned “Barcelona” chair was first shown at this time. Suppressed by the Nazis in 1933, many Bauhaus Modernists, including Mies van der Rohe and Marcel Breuer, moved to the United States, where they would create the “International School” of architecture, still so fundamental to the development of design today. 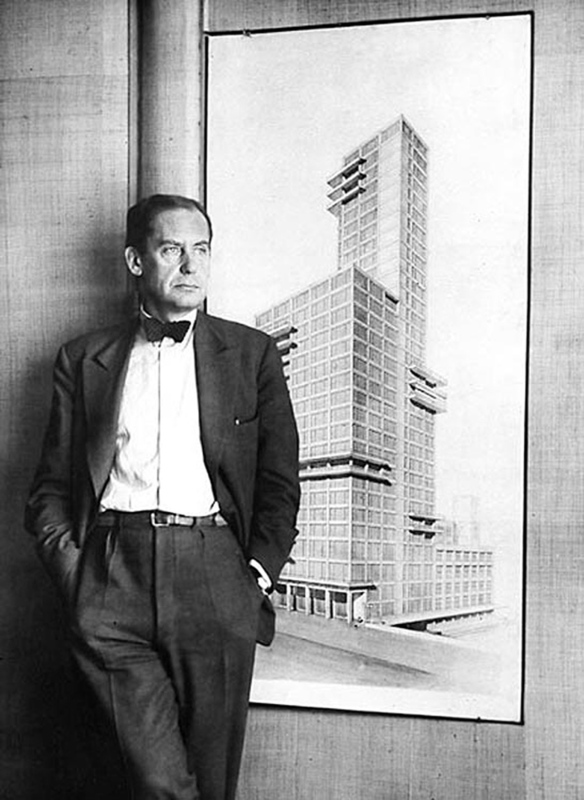 Walter Gropius, today he is remembered not only by his various buildings but also by the district of Gropiusstadt in Berlin. Gropius himself became Professor of Architecture at Harvard University in 1937 and a naturalized US citizen in 1944. 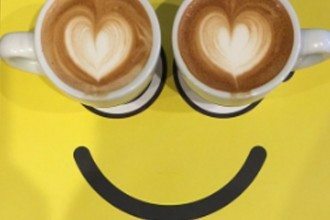 He became renowned for wearing a beret with his business suit, to remind himself of ‘the gap between the rigid mentality of the businessman and technologist, and the innovation and the imagination of the creative artist'; a symbol of his professional life. His works executed in collaboration with other architects, included the Bauhaus’s school building and faculty housing (1925–26), Harvard University Graduate Center, and the United States Embassy in Athens, all of which are still admired today by students of design.